A road trip in Ireland is a wonderful travel experience. Scenic roads, plenty of accommodation options and welcoming towns make Ireland the perfect road trip destination no matter how long or how little time you have. But how many days do you need to see Ireland? Is a week enough to see Ireland’s highlights and what are the best stops if you have 7, 10 or two weeks for visiting? I have been living in Ireland for over 13 years and I have put together these Ireland itineraries with my top choices for things to see in the Emerald Isle on your first visit. Please note:this post contains affiliate links and, should you make a purchase though them, I might make a small commission at no extra cost to you. How often does it rain in Ireland? How many days in Ireland? How long do I need for an Ireland road trip? In this article, I share my best Ireland itineraries, those that I believe will make you see the best of the country in the most sensible and efficient way. However, since I know you may have specific wishes for your trip that I don’t cover, I also want to give some general suggestions on how to craft your own Ireland trip. This applies to all your days on the road but to the first one in particular. How long is your flight here and how tired will you be? In these itineraries, i have kept the driving time on the first day as short as possible and on easy road (mostly highway) as I know jet lag can be a huge safety issue on the road. If going for longer distances, please be advised that outside the highways driving can be challenging (see below) and should be avoided when tired. Always consider driving in Ireland is slow. Use the tables below as reference but consider that they only cover the time needed to go from one place to the other in average traffic and weather conditions and without intermediate stops. Considering how far North it is, Ireland has a more moderate climate than many people expect. The presence of the sea and of the gulf stream keeps the temperature from spiking to extremes. In winter the temperature averages around 5 C / 41F (January being the coldest month) and in summer around 15 C/ 61F. The best time for a road trip around Ireland is the summer: long daylight hours and low rainfall makes it the driest season and the safest in terms of driving conditions. Spring is also a good time for road tripping in Ireland as well as early autumn. Winter poses more hazardous conditions due to possible snow and short daylight hours. Irish people joke that in Ireland the different seasons are marked by cold rain (winter) and hot rain (summer). However, it doesn’t rain as much as you may think or as frequently. Aside from some very wet days and frequent gray sky, you can expect showers more than solid rain for hours. The driest months are usually August and September and these are a lovely time to visit the country also because of the long hours of daylight. The wettest and darkest months are from November to February, when at 4.30pm darkness starts to set it. If you travel by car in the winter, be aware that occasionally you do have snow especially in the mountains and some higher roads get closed. Always check road conditions and, if the season requires, do have snow chains on board. More than the actual numbers and precipitation forecast however, what is really important to know when visiting Ireland is that the weather is very changeable and you can never really count on it. Maybe it’s because of the wind, maybe it is for some other mysterious climate reason, but it is a very common occurrence for a sunny day to quickly turn into a very cold and wet one! The best time of year to visit Ireland is the summer (May to September): these are the month with the longest hours of daylight and the driest climate. When packing for Ireland, layers is the name of the game. In summer, you can usually spend the warmest hours of the day in a t-shirt but may need a light cardigan and possibly a light jacket early in the morning or at night, or if the weather turns. Find our full packing list for Ireland here. In Ireland, you drive on the left side of the road. Motorways are few but well kept and allow for fast movement between cities. Smaller roads (National and Regional) are slow and winding but often very scenic. They are slow and narrow so you must allocate enough time and be prepared to slow down for oncoming traffic These are the roads that will give you that quintessential Irish country experience you are most likely looking for in your trip. If you are planning a road trip to Ireland, Auto Europe offers a good selection of vehicles: check prices here. For official information and updates on driving conditions in Ireland, please refer to the Irish Road safety Authority and local rules of the road. I believe it is possible to get a first idea of the country with as little as a 7-day itinerary but ideally, I would advise staying in Ireland a couple of weeks. Neither of these lengths will be sufficient to see ‘everything’, but with one to two weeks you should be able to get a nice feel for the place and touch some of the most famous and beautiful attractions. Below, you will find my suggestion for an Ireland itinerary for 7, 10 days and two weeks by car. I am assuming you will start and finish your itinerary from Dublin, although international flights also leave and arrive in Cork and Shannon, both equally good options to cover most of the locations in this post. A 7-day Itinerary though Ireland requires some compromising and some popular location will inevitably be left out. However, if you don’t mind driving a good bit, even with only one week in Ireland it is possible to include some of the most spectacular parts of the country. For this length of trip, I can think of two hypothesis, depending on how much terrain you want to cover and how long you are prepared to drive. Please note: driving time is calculated going straight from one place to the next. Add extra time for stops on the way. Depending on the arrival time of your flight and level of tiredness, you can spend your first day / night in the city or plan a first stop already in the country. Dublin has convenient airport hotels and a vast choice of accommodation you can reach by public transport/car/taxi. You can find a list of my favorite hotels in Dublin here. If you feel rested enough to drive, I highly recommend heading straight from the airport to Kilkenny. The drive Dublin to Kilkenny is easy as it is served by a well kept motorway (highway): getting to Kilkenny takes less than 2 hours and it can be an easy way to ease yourself into driving in Ireland. Kilkenny itself is lovely and a great place to relax and take it easy on your first day. A great hotel in Kilkenny is the Ormonde Hotel, right in the town center and close to the castle. The South of Ireland is gorgeous and Kinsale is a great base to discover the area. On the way there you have a great choice of locations to explore which include the famous Rock of Cashel and Cobh, which is an interesting village with a good heritage centre with memories of the ill-fated Titanic and the Lusitania. If travelling with kids, they are likely to enjoy a visit to Fota, which is a wildlife park with animals almost free to roam. Kinsale makes a lovely overnight stop. This days sees you driving in one of the most scenic and beautiful parts of Ireland. National Road N71 is gorgeous and it is worth taking the time to drive it slowly so you can take in its wonderful viewpoints opening up around the roads bendy turn. This is also the area of famous Blarney Castle which is easy to reach and pleasant to visit. If you prefer to limit the driving and take it easy in Killarney, there is plenty to do here including Ross castle and Muckross house which is a lovely stop also with kids thanks to it beautiful gardens and traditional farms. This stretch of Ireland is full of beautiful spots including Ennis, the Burren, the famous cliffs of Moher and Galway. Especially if travelling with kids, a stop at Bunratty Castle and Folk park or check out the Ailwee Caves and Bird of Prey Educational centre that is sure to please adults and kids alike. Galway is a lovely university town, with a friendly vibe, but what makes is special is its position at the entrance of Connemara and close to the Aran islands. If you are not tired of driving a day trip to Connemara is definitely worth it. Here is where you can see pristine and wild contryside, moody skies and the famous Kylemore abbey. If you need a break, Galway has no shortage of shops and cafes to relax. If travelling with kids, make sure you check our family guide to Dublin to pick the attractions most suitable to you and your children. Our 7 day Ireland itinerary above covers a lot of ground and requires a lot of driving. If you prefer to drive e little less and not lug your luggage from one accommodation to the next, you can also set base for some nights in Dublin and some in Galway and explore from there. Ten days is a good length of time to visit Ireland and will allow you a more relaxed pace than the 7-day itinerary outlined above. With ten days, I would recommend you include a visit to County Wicklow and the Ring of Kerry that I believe would be a stretch during a shorter trip. Here is my favorite 10-day itinerary. Gorgeous County Wicklow lies just to the South of Dublin: driving there from the airport should take about 1 hour (motorway) and then you can relax in one of the many family-friendly hotels in the area. Things you shouldn’t miss in Wicklow are Glendalough monastic site and the scenic road to it, passing the sally Gap. Make sure you drive this stretch during daylight: depending on the time of your arrival and level of tiredness, you may prefer to plan the visit to this area early on your second day and spend the first night in Dublin. This day brings you to Kilkenny which is a pleasant city with a beautiful castle and a lovely town centre with an artsy vibe. Kilkenny is a lovely town with plenty to see: spend you day exploring its castle and the city’s famous ‘medieval mile’, explore its craft shops and make sure you spend the evening in a local pub listening to Irish music for the perfect introduction to Ireland. Places of interest are Cashel, which has an incredible medieval rock worth seeing, and Cobh, which is an interesting village with a good heritage centre with memories of the ill-fated Titanic and the Lusitania. This is one of the most beautiful drives you will have following this itinerary. the road is slow and bendy but beautiful and scenic. Take you time and then set your base in lovely Killarney, famous for its cute houses and plenty of accommodation and dining options as well as a famous castle. One of the most famous areas of Ireland is the ring of Kerry, a loop scenic road famous for incredibly beautiful landscapes. The Ring of Kerry takes about one day so if you are interested in driving it I would suggest spending two nights in the area. To avoid driving on the drop side of the road, make sure you drive the Ring of Kerry anticlockwise. This way, you may find yourself behind tour buses but you will not have to maneuver out of their way on a sheer drop, which you will be forced to do if going the opposite way! High season alternative: the ring of Kerry is so popular it can become frustrating, so I suggest an alternative: the Dingle Peninsula. Located to the north of Kerry, this is one of the many Irish peninsulas stretching into the Atlantic in the west of the country and it is spectacular and, in parts, remote. This stretch of Ireland is full of beautiful spots including Ennis, the Burren and the famous cliffs of Moher. What is truly special here is the scenery so especially on a beautiful day, it is worth to take your time and explore the Burren and walk along the cliffs. I love the Aran island and you have the time (and the good weather) to take the boat trip out from Doolin on the coast of Clare, this is likely to be one of the highlights of your Ireland trip. Plenty of ferry rides are available in the good season to the island: this is a great way to see lovely Irish scenery and take a break from driving. Connemara has wonderful, remote landscapes and it is home to famous locations such as Clifden and Kylemore Abbey that often feature as Ireland must sees. Spend a second night in Galways and decide on city exploring vs a day trip to Connemara on the spot for maximum flexibility. The drive between Galway and Dublin is not long, and depending on your interest you may either come directly to the city or stop en route to see the monastic site of Clonmacnoise. Unless your flight is early, you will have the end of day 9 and part of day 10 to visit Dublin. While this is not enough to see the city, you can still very much enjoy its vibe. With only one day in the city I would just take it easy and stick to taking stroll in the city centre streets. Grafton street, Trinity college and Dublin castle are all worth seeing and they are a short distance from each other and will anyway leave you with plenty of time to then head to the airport. Find my favourite Dublin itinerary here. With 2 full weeks, you can see a lot of Ireland and will give you the chance to visit Donegal, too remote to make it in my previous itinerary. Donegal is, I believe, the Ireland of dreams: large, sandy, tidal beaches swept by polar winds, crashing waves and screaming seagulls, and some of the highest cliffs in Europe. With two weeks, you can also stretch to Northern Ireland to Derry and the rightly famous Giant Causeway. Please note: distances in the table below are from point A to B. Add extra time for local exploration and side stops. The city has a wonderful castle, a stunning cathedral and dynamic city centre: spend the day exploring, shopping and eating, then settle in the Ormonde Hotel for a great night in town . Find our full guide to one day in Kilkenny here. The South of Ireland is gorgeous and the drive between Kilkenny and Kinsale offers some beautiful stops. Places of interest between Kilkenny and Kinsale are Cashel, one of my favorite Irish castles, and Cobh, which is an interesting village with a good heritage centre with memories of the ill-fated Titanic and the Lusitania. The road between Kinsale and Killarney is stunning so I recommend you take the day to drive it and take in all its natural beauty. This is also a day when you can include a visit to famous Blarney castle. This area of Ireland is remote and will require long hours in the car. Because of this and especially if driving with kids or if you prefer shorter stretched, I recommend you plan this day and following one together so you can be sure you don’t overdo it. High season alternative: the ring of Kerry is so popular it can become frustrating, so I suggest an alternative: the Dingle peninsula. Located to the North of Kerry, this is one of the many Irish peninsulas stretching into the Atlantic in the West of the country and it is equally spectacular and, in stretched, remote. With two weeks in Ireland you may have the time to fit in a trip to Skellig Michael, Unesco World Heritage site and spectacular location of an ancient monastic setting. The island is not suitable to visit with very young kids or people with mobility issues but it is special and one of those site that leaves a strong impression on visitors because of its uniqueness and beauty. Because of limited accessibility, if you plan to go to Skellig Michael it is better to keep a very loose schedule for all other stops as you may be delayed in your visit by unsuitable weather. What is truly special here is the scenery so on a beautiful day, it is worth to take your time and explore the Burren and walk along the cliffs. I love the Aran island and you have the time (and the good weather) to take the boat trip out, this is likely to be one of the highlights of your Ireland trip. Ferries connect the Aran island to the mainland regularly during summer and they are an easy day trip. Just to the North of Galway lies wonderful Connemara, known for its remote, stunning landscape and Kylemore Abbey. Donegal is the one of the most remote parts of Ireland and has some of the most beautiful landscape in the whole of the island. 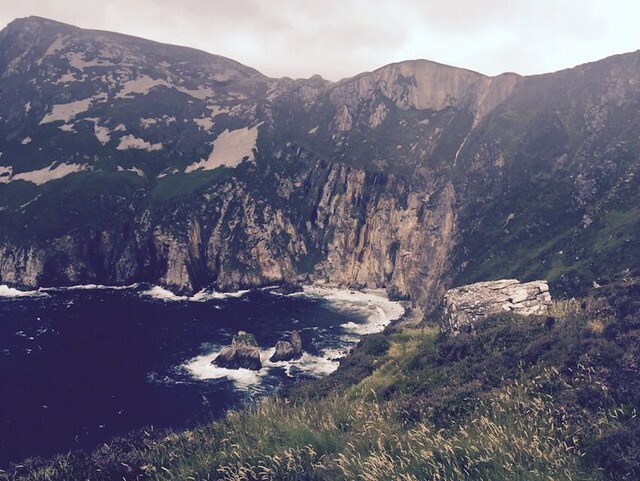 Good accommodation can be found in Donegal town, from where you can easily reach wonderful Slieve Leagues, stunning and easily accessible sea cliffs. Stay in the Abbey hotel right in the center of Donegal town for lovely atmosphere and handy on site restaurant. Derry or Londonderry as it is called in the UK is a beautiful walled city rich with beautiful sites and history. It is worth spending a night here and take the time to take a stroll along its medieval walls and a walk to see the famous ‘Free Derry’ corner. It takes well over one day to visit Northern Ireland but if you can, I would add the extra stretch to see this part of the coast and try to visit at least its most famous landmarks such as Derry and the Giant Causeway. Plan one night in the area to make the most of your time here and check out our Northern Ireland weekend itinerary for inspiration and photos! Day 13 and 14 should be devoted to exploring Dublin. It takes about 3 hours to get to the city from the North and I suggest planning a stop at Dublin airport to return the car on the way. Dublin is better explored on foot so if you rented a car, it is a good idea to return it before you settle into the city. If budget allows, I would suggest you settle into the city centre and spend a couple of days between Dublin beautiful shops, cafes and museums. If you are travelling with kids, you can pick some of your favorite activities from this list. I hope you enjoyed reading my suggestions for the perfect Ireland itinerary and it helped answering the question: what is the best itinerary for an Ireland road trip? Disclaimer: this post contains affiliate links and if you make a purchase through them, I will receive a small commission at no extra cost to you.